Imported Rainbow pattern walkway and patio stone. Intensely colorful imported stone with a smooth (but not slippery) surface. The base color tends to be a soft brown or tan, but the graining is so intense and colorful that it is very hard to describe. Should be seen. Pieces are cut to exact dimensions so coverage is dependent on how much you buy. 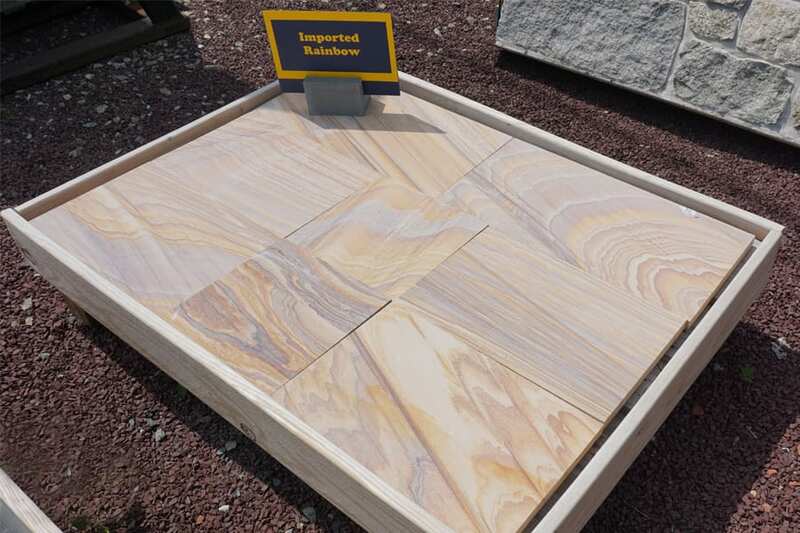 A typical pallet of 1.5" bluestone will cover an average of 180 square feet. 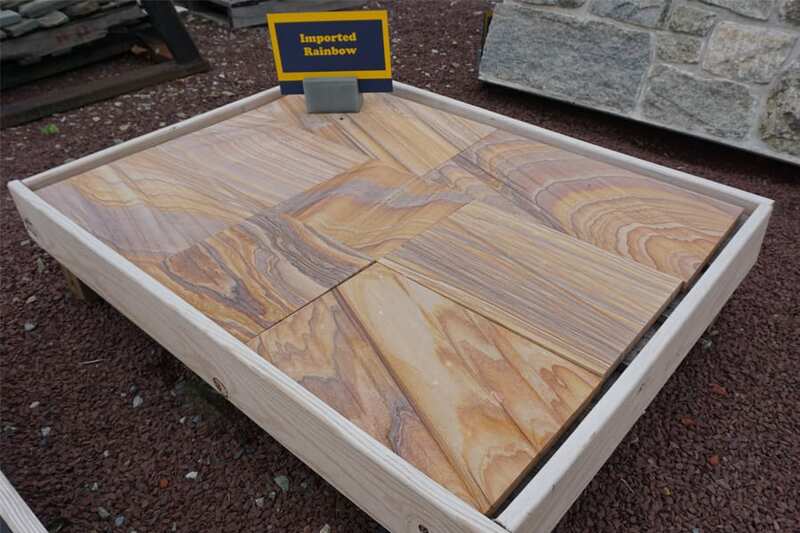 We sell 2 types of pattern Rainbow walkway and patio stone - Domestic and Imported. 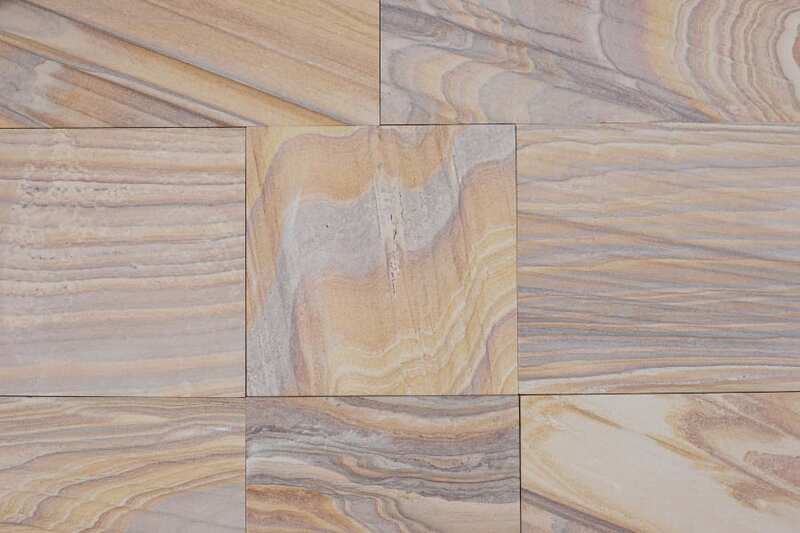 This imported option tends to be even more colorful than the domestic option, with intense color bands in the extensive graining throughout the stone. Strikingly beautiful, especially when wet. Reminds many people of Southwestern stone. Even completely dry the stone is very colorful. The grain is exceptional. The colors really pop when the stone is wet. Why do you call it imported? This stone is imported from overseas as opposed to Domestic Rainbow which is quarried in Pennsylvania. Wicki Stone carries these products that match or compliment imported rainbow stone.